SYRACUSE, N.Y. -- Syracuse got an RBI double from Matt Reynolds in the 10th inning as the Chiefs walked off the Rochester Red Wings in extras for the second straight game Tuesday night at NBT Bank Stadium. Reynolds also tied the game with an RBI triple in the 8th inning last night and scored the winning run two batters later. He finished 4-for-5 with two doubles, two RBI and a run scored for the Chiefs (32-44). The walk-off came against Luke Bard (0-1). Jimmy Cordero (4-1) earned the win after working a 1-2-3 10th. 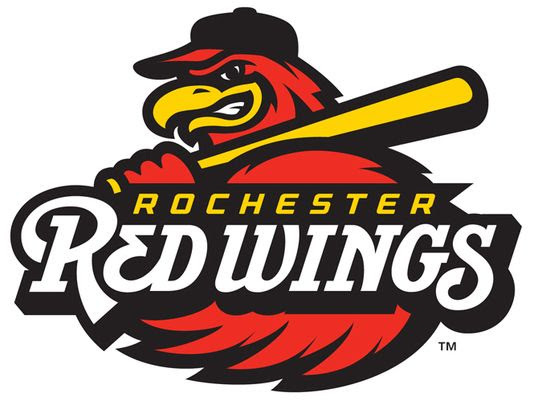 The Red Wings (36-38) led 3-2 after Chris Carter blasted his sixth Rochester homer in the 6th. Syracuse tied the game in the 8th off Tyler Duffey for the second consecutive night after Edgar Corcino lost a ball in the sky and a ground ball with two outs deflected off the glove of shortstop Nick Gordon. Rochester left the bases loaded in the 9th and had runners at second and third with nobody out in the 8th and failed to push across any runs. The Wings struck for two runs in the 1st inning against Austin Voth on a double play and a two-out RBI single from Carter. The Chiefs made it 2-1 in the 2nd and tied it 2-2 in the 4th against Rochester starter Zack Littell. Littell was charged with two runs on nine hits and one walk with four strikeouts over 6.2 innings. Voth allowed three runs, one earned, on five hits and two walks with three strikeouts over 7.0 innings. Zack Granite, Gordon and Carter all recorded two hits but the Wings finished 1-for-10 with runners in scoring position and left 11 men on base. Rochester will look to even the series Wednesday night when they send RHP Fernando Romeroto the mound.